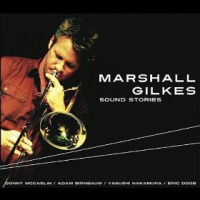 Marshall Gilkes is a trombonist and composer in his mid-twenties. After graduating from the University of Northern Colorado, he moved to the New York area, where he attended William Patterson University in New Jersey, studying with Conrad Herwig, Ed Neumeister, and Rufus Reid. He became a freelance trombonist and in 2003 was a finalist in the Thelonious Monk International Jazz Competition. 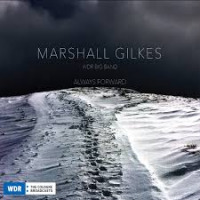 Gilkes has worked extensively in the jazz and Latin fields as well as in New York's musical theatre. 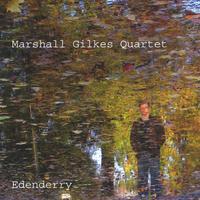 For his debut recording, Edenderry, he has assembled a quartet with pianist Jon Cowherd, Matt Clohesy on bass, and drummer Johnathan Blake. The nine compositions are all originals, with the exception of Rodgers & Hart's "This Nearly Was Mine," taken up-tempo. Gilkes begins the album aggressively on "Puddle Jumping," sounding like Ray Anderson, but this is short-lived. The music is almost entirely tricky up-tempo melodies with the exception of two ballads, "Shady Skies" and the title tune, which serve as the springboard for strong playing by the trombonist. 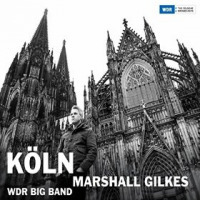 What I found most appealing is that Gilkes doesn't overpower his rhythm section; snd they are equal to the task, without sounding counterproductive. Cowherd is a fine pianist and gets to showcase his abilities to support and solo, as does former Australian Matt Clohesy. Blake is especially good at stoking the respective fires. Track Listing: Puddle Jumping, Shady Skies, Waltz, Lost Path, This Nearly Was Mine, Gilkean, Dissonancia, Gummi de Milo, Edenderry. 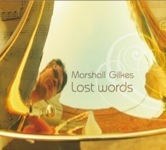 Personnel: Marshall Gilkes, trombone; Jon Cowherd,piano; Matt Clohesy, bass; Johnathan Blake, drums.